Your vote is your voice. Make it heard. Use your vote to voice what matters most for you and your family. The general election is Tuesday, November 6, 2018. Elected officials will represent us, making decisions that affect our lives. Learn more about where candidates running for office in the November 6 election stand on issues like public education, immigration and health care. View our candidate profiles. 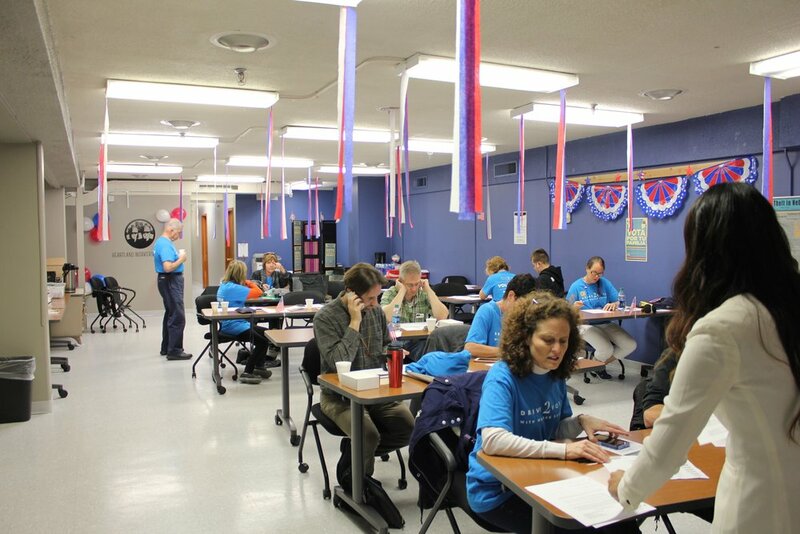 Our Get-Out-The-Vote (GOTV) efforts are fueled by passionate and dedicated volunteers. Learn more about the volunteer opportunities available and get involved here. 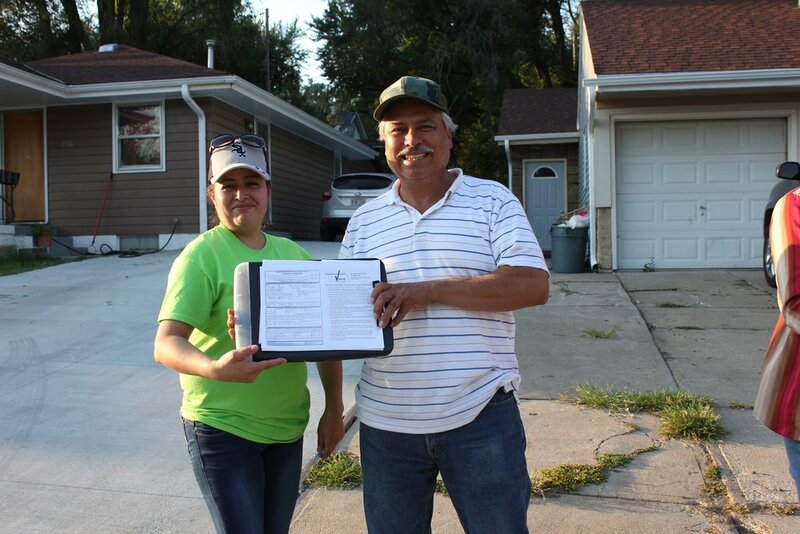 In Nebraska you can register to vote online, by mail, or in person. See deadlines for each above. Register in person at your County Clerk/Election Commissioner’s office, any public assistance office, the Department of Motor Vehicles (DMV), or Heartland Workers Center. + Can I register to vote online? + How can I vote early? You can vote prior to Election Day by voting in person at the County Clerk’s Office or by requesting a ballot be sent to your home. If you are going to be out of the state or country or busy on Election Day, consider voting early so you may fulfill your right and responsibility to vote. All requests must be recieved by 6 p.m., October 26, 2018. You can vote at the County Clerk's Office 35 days prior to each Election Day. You could also have someone act as an “agent” who can pick up a ballot for you at the County Clerk’s Office. To receive an Early Voting Ballot by mail, you must request one be sent to your home by sending a written request or filling out an early voting ballot request application, available online at www.sos.ne.gov/elec/pdf/earlyvote_app.pdf. Mail or deliver your completed application to your county election office. Once you’ve filled out your early voting ballot, you must sign the envelope and be sure that your ballot is at the County Clerk’s office by 8 p.m. on election day. + How do I vote on election day? Visit the Secretary of State’s Voter Check website. If you end up at the wrong polling place, ask a poll worker for help. Find the Sign-in Table – You will see a group of poll workers sitting at a table. Approach them and tell them your name and address. You will need to sign your name as proof that you voted. Receive your Ballot – The poll workers will give you your ballot in a plastic privacy sleeve to you. Take it to a nearby voting booth. Voting – Make sure you follow the instructions on the ballot. If you have questions on how to mark your ballot properly, ask a poll worker. If you make a mistake and need a new ballot, write “VOID” across your ballot, fold it in half, and return it to the poll workers. They will give you a new ballot. Return your Ballot – Place your voted ballot in the privacy sleeve and return it to the poll workers. They will place it in the ballot box for you. + What will I see on the ballot? You can see sample ballots for the November 6, 2018 General Election here. + What is the difference between primary & general elections? During primary elections, registered voters select a candidate that they believe should be a political party's candidate for elected office to run in the general election. Primaries are state-level elections that take place prior to a general election. The general election is the main election where the voters make their final decision on the winner. + I don't know if I'm registered to vote. How can I check? + Can Nonpartisan (Independent) voters vote during a primary?